Discover your creative potential this summer! Creative Journeys' Summer School will allow you to spend an extended length of time exploring an area of interest, curiosity or passion. Over the course of three days you'll have the time to imagine, and then create something tangible with the guidance of enthusiastic and professional tutors. 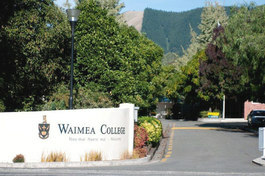 We have chosen Waimea College (Salisbury Road Richmond) as our venue because it has well-equipped classrooms which are perfect for special demands of the summer school workshops. The school also has attractive indoor and outdoor spaces where students will be able to gather for refreshments and to exchange ideas and enthusiasms. Like a Copy of the Poster? If you withdraw from a class before 8 January 2013 you will receive a 100% refund of your course fee. If you withdraw from a class on or after 8 January 2013 you will receive a 50% refund of your course fee.